The 2019 GMC Terrain in St. Louis is a unique vehicle in its class and provides excellent towing capacity. That's right, if you are looking for an all around awesome vehicle to tow your boat down to the Lake of the Ozarks then look no further than the GMC Terrain. You can tow as much as 3,500 with the optional 2.0 liter diesel engine. In addition the GMC Terrain is loaded with features depending on which options that you prefer. If you are not into tech you can save yourself money by going with the base model. Either way the 2019 GMC Terrain has you covered with just about every available option under the sun. GMC has several new upgrades to the 2019 model including a new 8 inch touchscreen for all your entertainment needs. In addition you can enjoy a comfortable luxury interior as well as an optional 2 liter engine if you need the towing power. You can choose from the Denali, SLT, SLE and SL trim levels which all offer something different and unique depending on what you are looking for in a luxury SUV. The Denali is the top of the line and and comes standard with the 2.0 liter engine. You will also get the surround view parking assistant camera, Wireless charging pad for your devices, heated and ventilated seats, LED headlights and 19 inch wheels. Make sure to check out each trim level to see the differences when you come to Lou Fusz Buick GMC for a test drive..
HAVE PEACE OF MIND WITH THE SYSTEM THAT DETECTS THAT A PEDESTRIAN IS WALKING INTO YOUR PATH. THE FRONT PEDESTRIAN BRAKING SYSTEM NOW AVAILABLE ON THE TERRAIN. COMPLETE BEAUTY IN THE 2019 GMC TERRAIN WITH THIS GORGEOUS SKYSCAPE SUNROOF THAT THE WHOLE VEHICLE CAN ENJOY!. 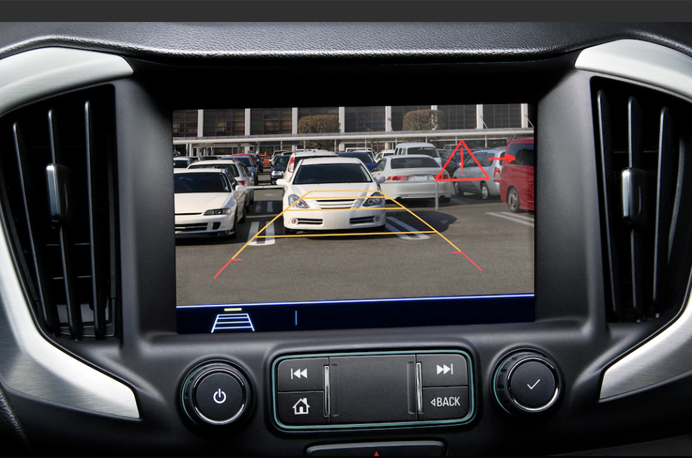 THE VIVID REAR VISION CAMERA ON THE 2019 GMC TERRAIN. 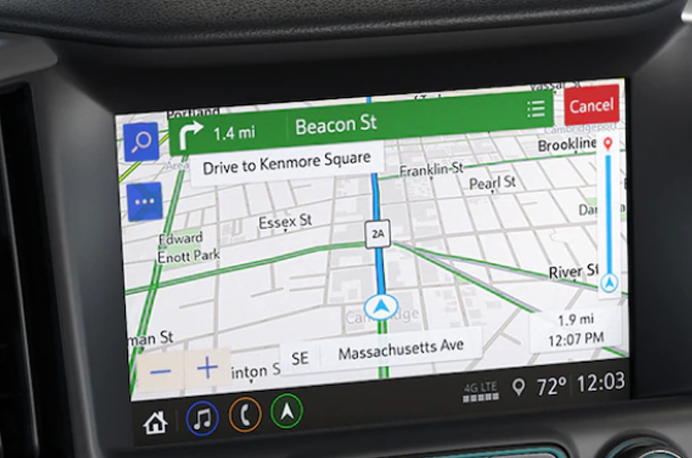 WITH THE AVAILABLE BUILT IN NAVIGATION YOU WILL ALWAYS HAVE SOMEONE GUIDING YOU WHERE YOU NEED TO GO AND AVOID THOSE TRAFFIC HASSLES! 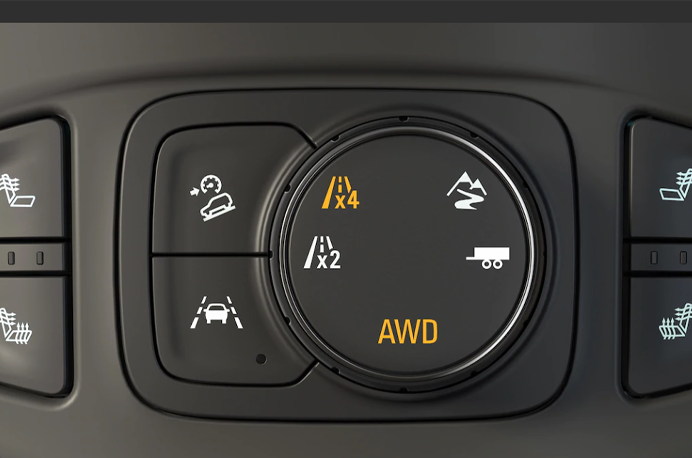 THE TRACTION CONTROL SYSTEM IN THE 2019 TERRAIN ALLOWS YOU TO MAKE ADJUSTMENTS IN REAL TIME ON THE FLY. 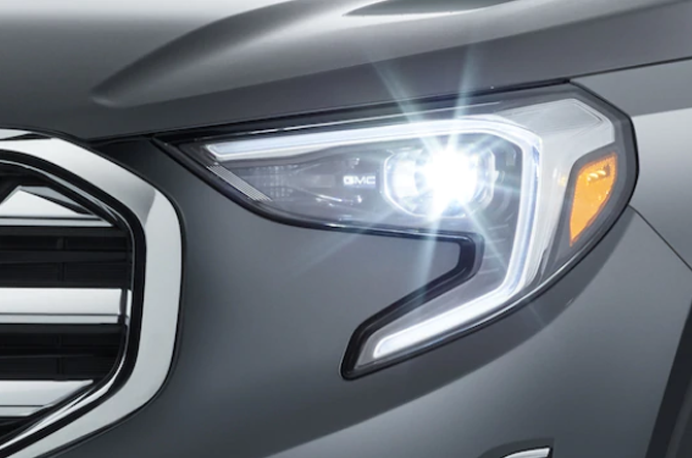 NIGHTTIME DRIVING WITH HID HEADLAMPS AND LED SIGNATURE LIGHTING WILL MAKE DRIVING EASY ON THE 2019 GMC TERRAIN IN ST. LOUIS.